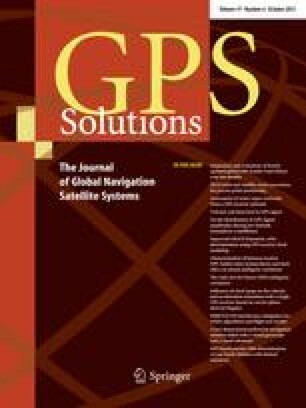 The GPS Toolbox is dedicated to highlighting algorithms and source code utilized by GPS engineers and scientists. If you have an interesting subroutine or program you would like to share with our readers, please pass it along so that we might continue to bring you this column; e-mail it to us at gps-toolbox@ngs.noaa.gov. To comment on any of the source code discussed here, or to leave a request for a piece of source code you may be looking for, visit our web site at http:/www.ngs.noaa.gov/gps-toolbox. This column is edited by Stephen Hilla, National Geodetic Survey, NOAA, Silver Spring, Maryland, and Mike Craymer, Geodetic Survey Division, Natural Resources Canada, Ottawa, Ontario, Canada. © 2002 Wiley Periodicals, Inc.